The University has completely restored its historic Merriam Theater. This 1,842-seat theater serves as the University's major performance hall for students in the College of Performing Arts. Both fall and spring semesters conclude with a number of performances staged by the College of Performing Arts' Dance, Music, and Theater departments. 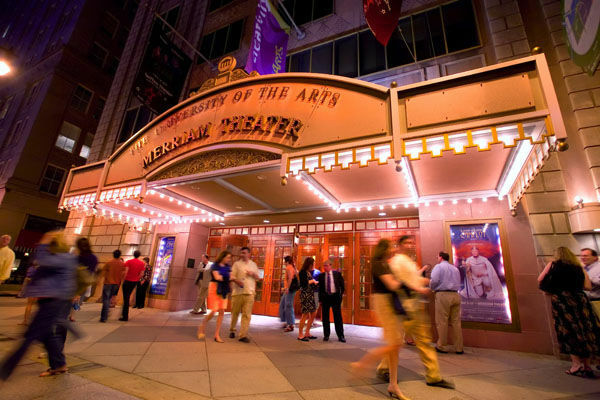 Located at 250 South Broad Street, the Merriam is also "home" to a number of regional performing arts organizations, including the Pennsylvania Ballet.